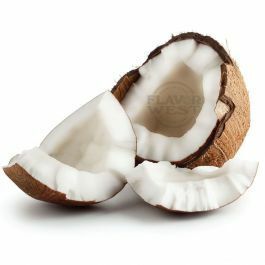 Coconut Flavoring delivers a rich, strong coconut aromatic flavoring. It's quite strong but defiantly not overpowering. A drop adds a delicious yummy Coconut flavor taste to your cooking and baking needs. Type: Coconut Water Soluble Flavoring. Ingredients: Natural and Artificial Flavoring, Propylene Glycol. USP Kosher Grade Flavoring. Usage Rate: 15-20% for E-use. Flavor suitability: beverages, desserts, drinks, candies, caramel, baking recipe and more. Specific Gravity: 1.05 No Refunds on Flavoring.